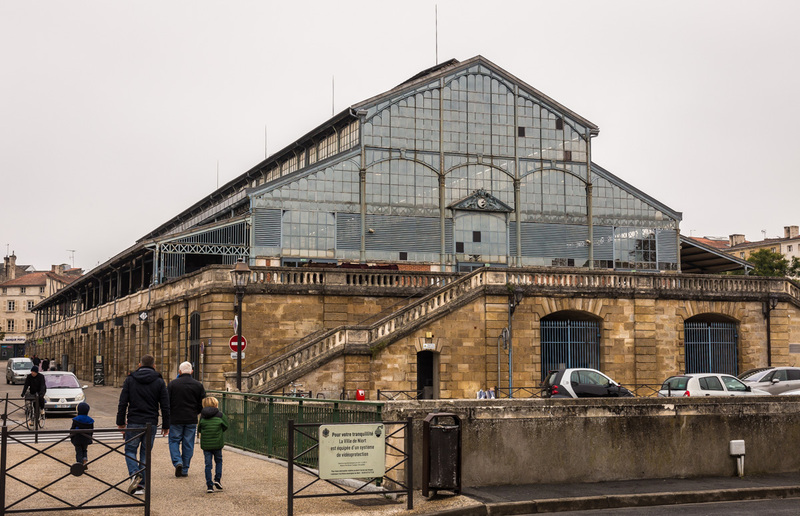 Nogent sur Marne is the proud owner of one of the Baltard pavillions from the old Halles in Paris. It's been transformed into a sort of TV Studio/convention center. It's not far from the RER station if visitors to Paris want to see it. I think I went to a concert there in about 1979. The musician was the guitarist Ry Cooder. In the audience, sitting in the row behind me and my friends, was Francis Cabrel, who had already had a few of his big hits. And I went to a Joan Baez concert either in 1980, I think. (I time these things by my children and I know it was before I got pregnant with Anne!) "Prendre un enfant par la main" was a big hit. She sang it and Yves Dutheil, the author, composer, singer, was in the audience. There were also other French celebreties, but I don't remember who. I was in the balcony and there was a bit of a smoke haze down below -- they were not smoking tobacco! I love these grand old markets. Ours wasn’t so gran originally but still had it’s charms (I’ve seen photos). It was replaced by a modern building with no personality. mitch, I'm amazed that so many of these places have survived the advent of the supermarket/hypermarket.